Our coffee station has been getting a lot of use since its completion a few weeks ago. Every k-cup of cocoa has been consumed by my children, my husband and I plowed through the “Caramel Cream” coffee… and that candy station? Gone. I blame my children. I believe I ate exactly 22 Reese’s pieces, and that’s it. Needless to say, it’s been a hit. While I was admiring our newly built coffee station, there were more than 200 bloggers admiring their own rooms along with me. That’s right. 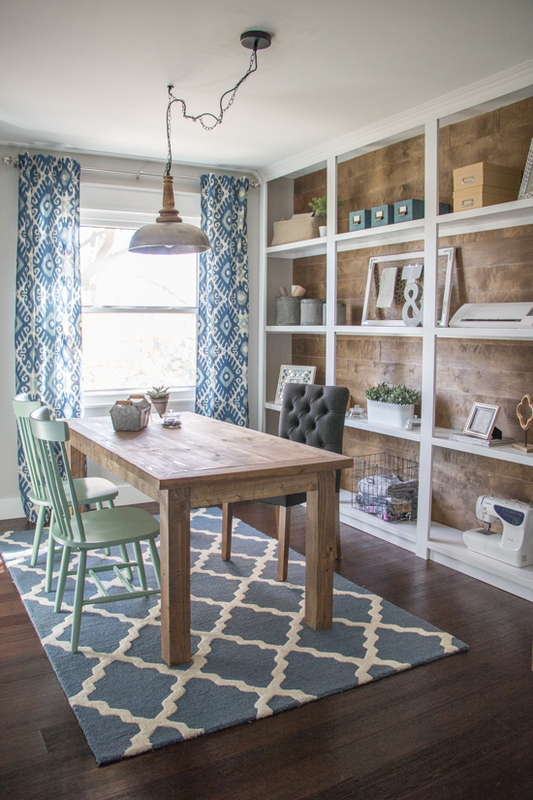 Two hundred (+) bloggers all took on the One Room Challenge and transformed rooms in their own homes. I always spend a few weeks perusing through the rooms and pick out my favorites to share with you. Are you ready? This laundry room started off as many laundry rooms do. Kinda messy. Kinda outdated. A little forgotten… Ummm. I don’t think anyone is going to forget this laundry room anymore. The image below shows just one angle, one side of this gorgeous space. To see it all, head on over to Bre Purposed. It will not disappoint. This foyer is a pretty small space, but it’s packed full of character. It’s warm and bright and inviting. Just what you’d want as you walk into your home. And, can I just say “shiplap”? I know it’s everywhere these days, but I love it. I just feels home-y. There is so much more to see in this space, so pop over to Prairie Girl Home and have a look. Jennifer has got a whole lot of talent. Can you believe she painted those walls? 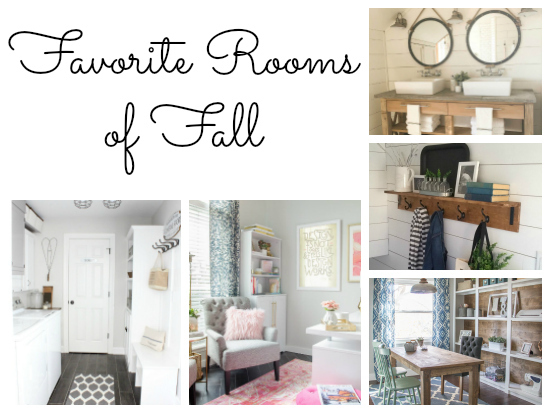 I featured one of her rooms last spring, and this fall she nailed it once again. Favorite part of this room? Those blank comic bubbles are white boards so her son can enter in his own sayings. Pretty clever. 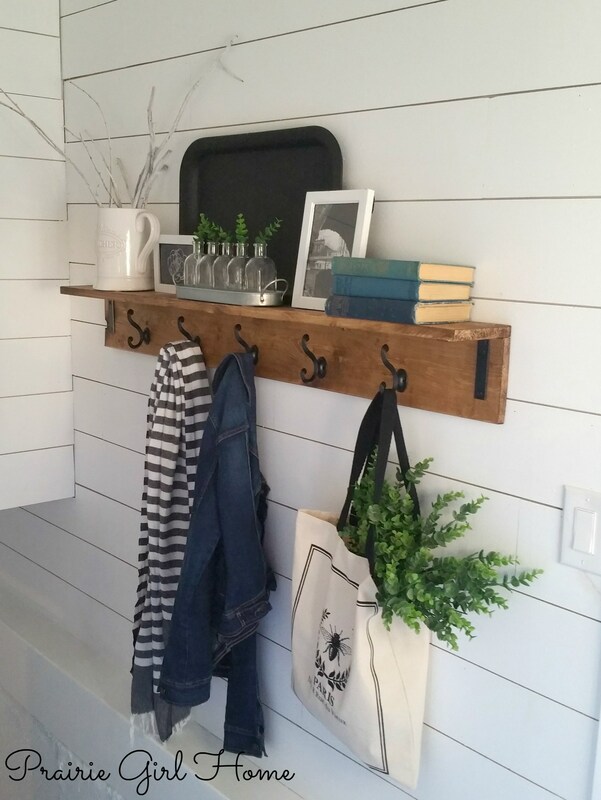 Head on over to Paint Yourself A Smile to see more of this amazing space. 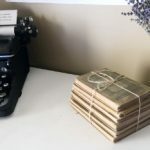 Last fall Sypsie Designs blew me away with their garage makeover, and this time they amazed me with their office space. 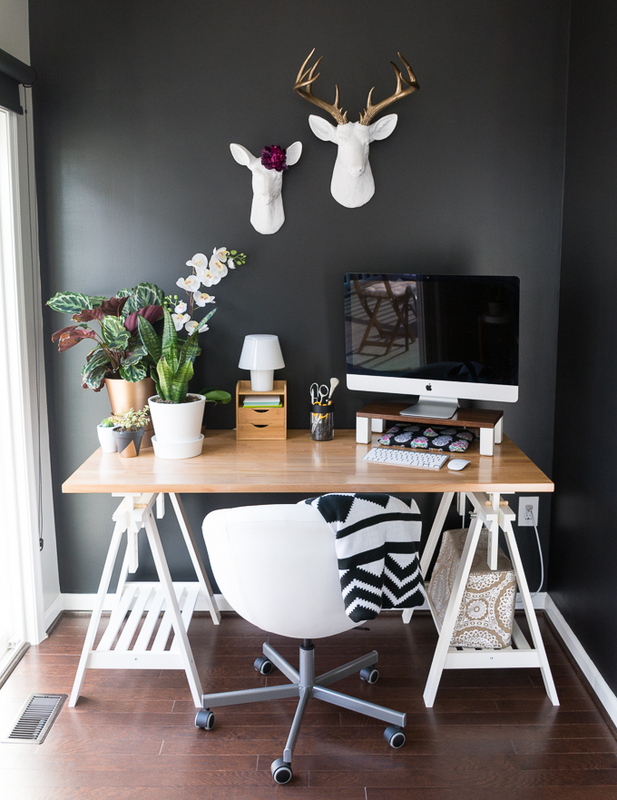 Our home office is on my “to do” list, and I’m pretty sure I’ll be getting a ton of inspiration from this space. I pretty much pinned every picture 🙂 Seriously, you won’t believe how this office started out. (Think: Office supply explosion.) 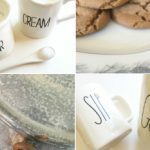 To get all the details, pop on over to Sypsie Designs. I am in love with this room. This is just one side of the multi-functional space by Brittany Goldwyn. That dark wall is a stark contrast to the opposite side of the room. Stunning. It makes me want to go out and get potted plants, but knowing me, they’d all be dead in a week. 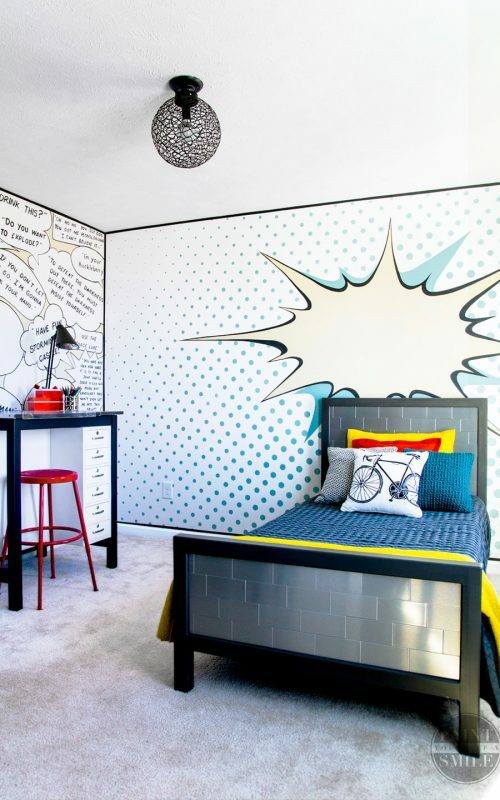 To see more of this amazing space, check out By Brittany Goldwyn. I pretty much want Sara to come over to my house and design every room. I simply love everything she does. 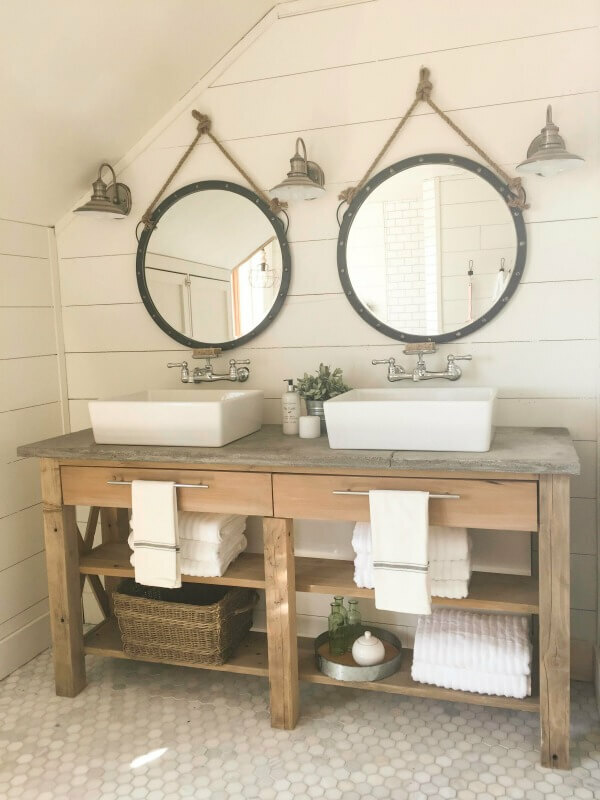 She embraces the farmhouse style and creates such beautiful spaces. Last spring I featured her laundry room, and this year she amazes me again with this bathroom (that started out covered in slate tiles, by the way). This is another room in which I was pinning everything. Stop on over and see more of this amazing room by Twelve On Main. Dream kitchen. Need I say more. 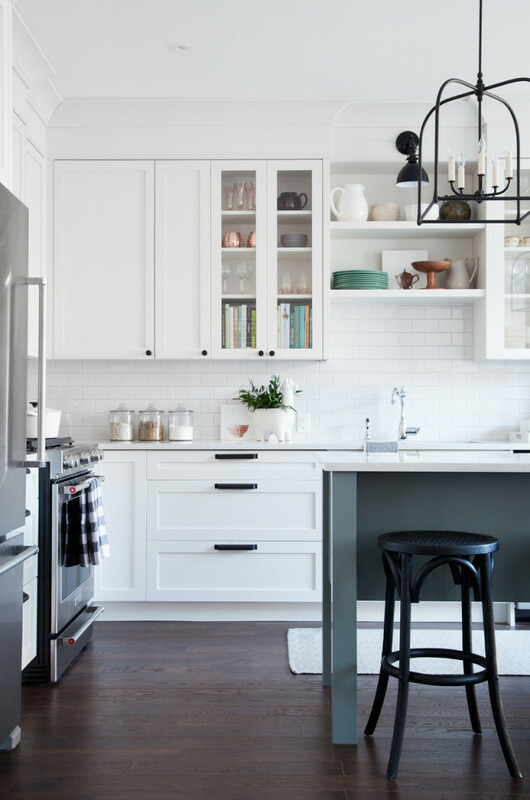 A white kitchen is on my wish list for sure, and this amazing kitchen is just what I’m going for. You can see a whole lot more over at Vanessa Francis Design. When I think of the “One Room Challenge”, Melissa’s rooms always come to mind. She amazes me. Every. Single. Time. This is the third time I’m featuring one of her spaces. First their was her garage… then there was her closet… and now it’s her office. Honestly, this room didn’t start off in complete shambles (A little messy and disorganized? Sure. ), but this was “Makeover Round 2” for this space. Hey, sometimes you create a space and then realize it wasn’t quite “you”. 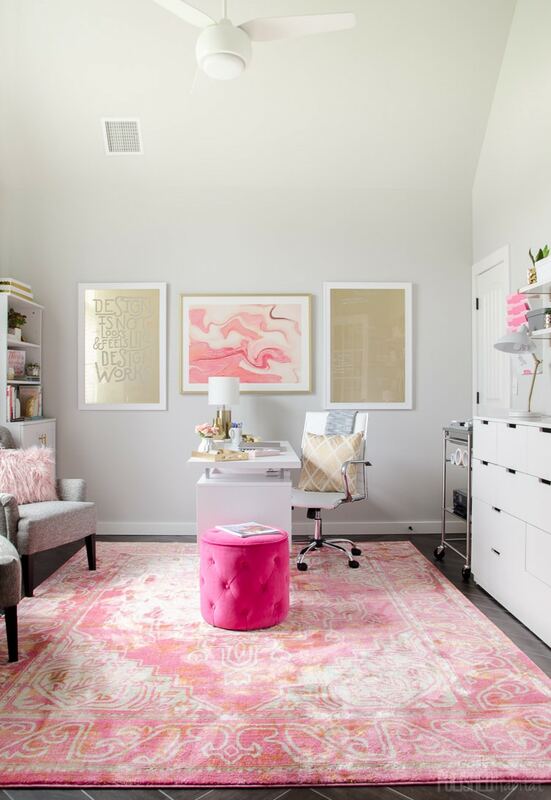 There are a million things to see in this gorgeous office, so head on over to Polished Habitat. 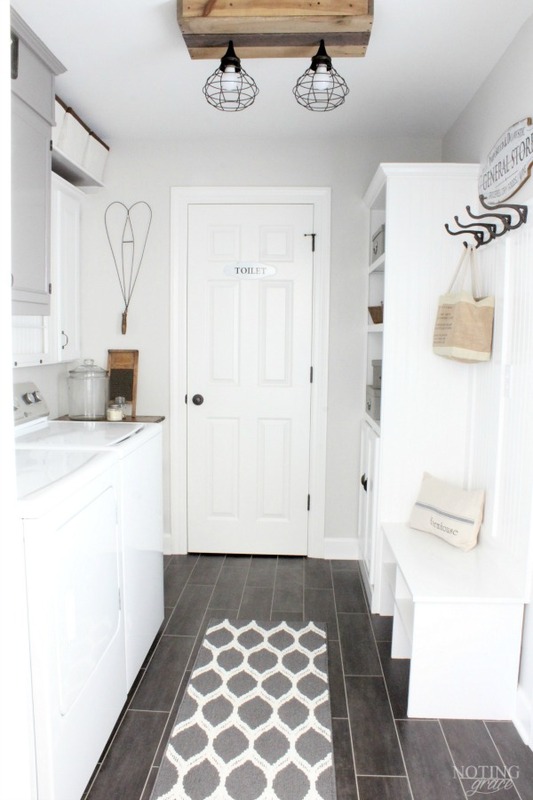 Another laundry room, but a completely different feel. This space was redone to create better flow off the kitchen, and I am in love with it. It’s simple and bright and perfect. To see more, check out Noting Grace. 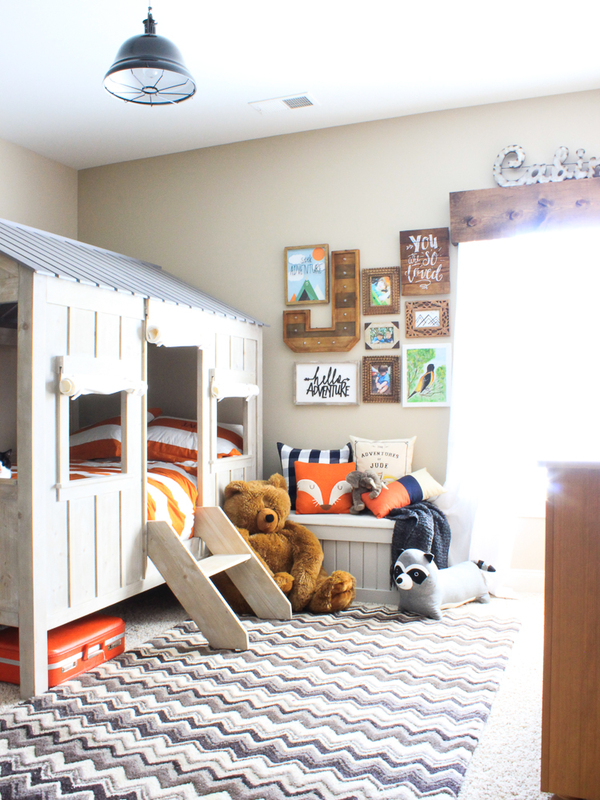 Ummm… how absolutely adorable is this space? 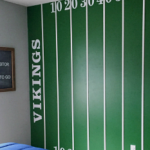 If I were a little boy, this is the room I’d want. Lesley thought of everything in here, including a crackling fire! To get all the details, head over to Chaotically Creative. 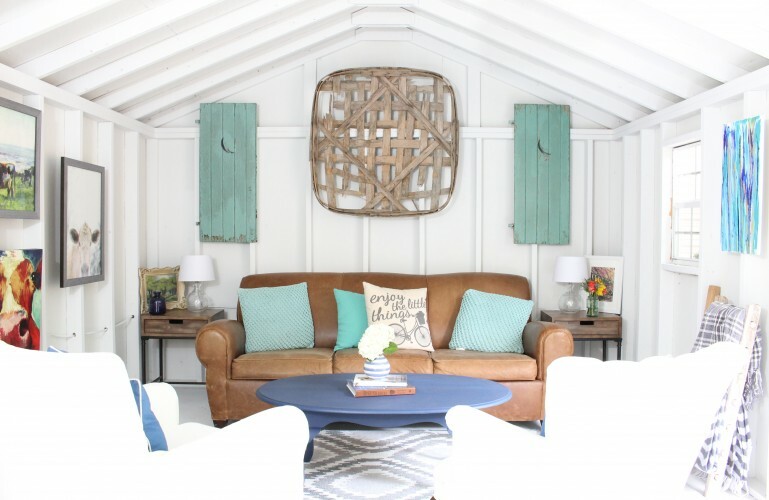 The girls over at 2 Bees In A Pod took on a storage shed and transformed it into something like I’ve never seen before. Think bar with a cozy living space. Head on over to 2 Bees In A Pod and have a look for yourself. This bathroom started out in the 70s. No joke. April was able to completely gut it and bring it into this century. I absolutely love the dark colors. 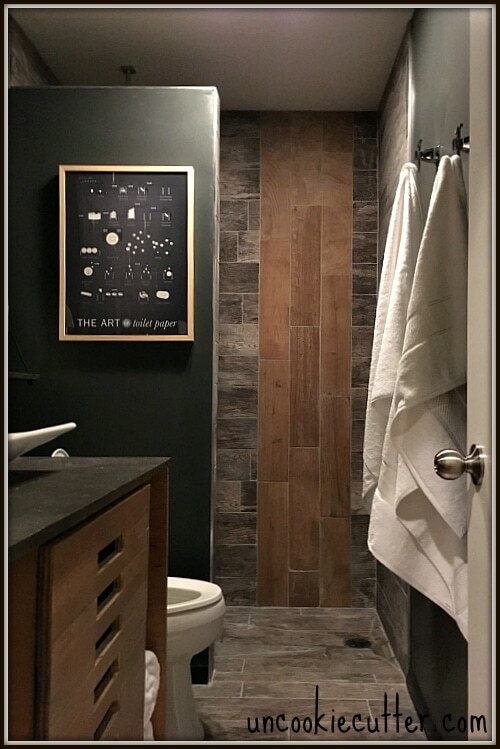 It’s kinda like an in-home spa… and I also want that Art of Toilet Paper print. What? I didn’t even know there was an art to toilet paper (except that it should roll over the top 🙂 ). 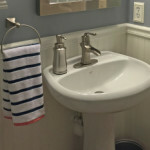 To see just how far this bathroom has come, check out Uncookie Cutter. Aren’t these rooms amazing? If you’d like to see my favorites from past One Room Challenges, here you go! 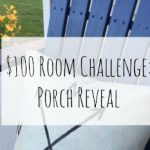 Be sure to stop by this upcoming Wednesday as I’ll be starting a whole new $100 Room Challenge! Thank you so much for including me in your favourite’s! I feel honoured to be listed beside such gorgeous makeovers!! Of course. Your foyer is my dream foyer. You did such a beautiful job! This was my first ORC and it was an amazing process! So glad to have connected with you and am so honored you included me in your round up! Thank you again! SO many amazing makeovers! Thanks for including me in your favorites! You are so welcome. 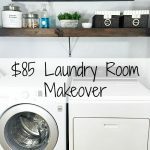 Your laundry room is simply incredible! Of course! Your kitchen is amazing! Hey lady! Thanks for including my room! And I love all of your picks. Bre’s laundry room is amazing! I’m so honored to be featured, this is an amazing roundup. Thanks so much Erin! Absolutely! Your bathroom was amazing! … and seriously, where did you get the Art of Toilet Paper print? Thanks for including me again, Erin. I loved all the spaces you picked (and your coffee bar)! Your rooms are always stunning. Happy to include such a gorgeous space!